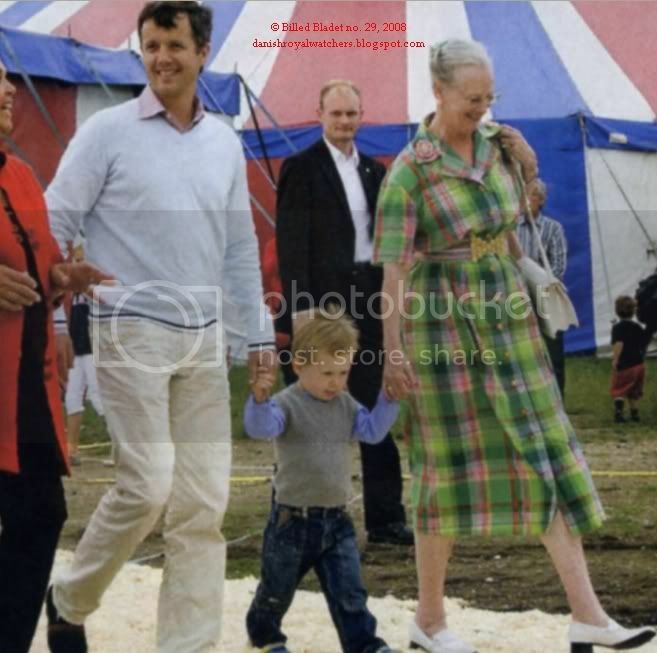 During the July summer holiday period Frederik, Mary, Christian and Isabella stayed at Marselisborg Palace near Århus with the Queen and Prince Henrik. 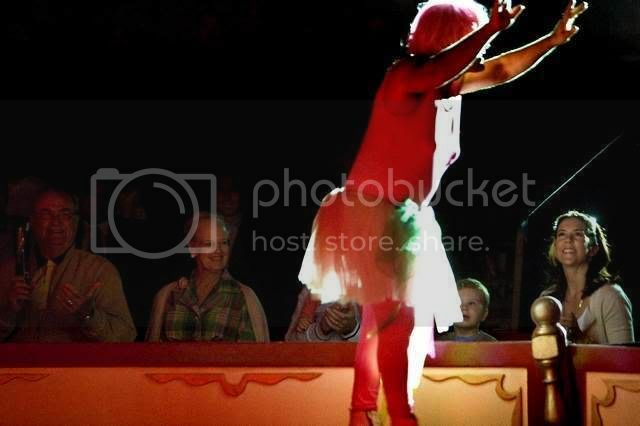 And also during the stay, the family attended a performance of the 121-year-old Benneweis Circus on July 13. 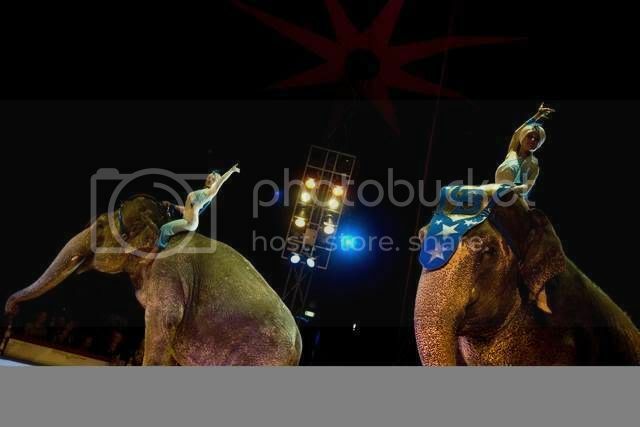 The circus is currently celebrating it's 121st anniversary. 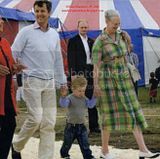 A few days later Frederik and Mary also stepped out for a walk with the children and Ziggy, which happened to be captured by royal photographer Gert Blume. 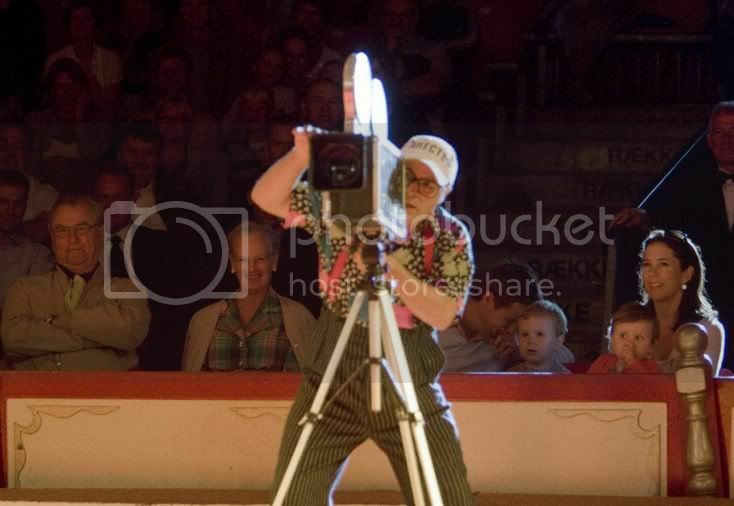 Photos © !Hola!, Århus Stiftstidende, Circus Benneweis and Gert Blume/Billed Bladet. 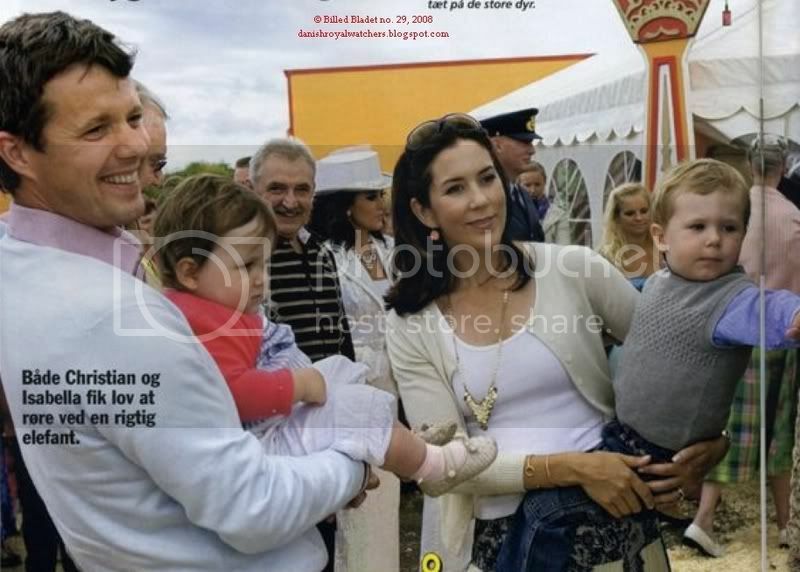 Mary and Frederik and their children along with the Regent Couple spent part of their summer holiday at Marselisborg in Århus. 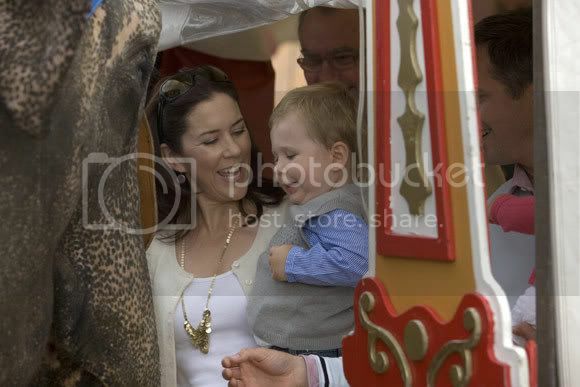 That visit normally coincides with the visit to Århus by the largest circus in Denemark, Cirkus Benneweis. 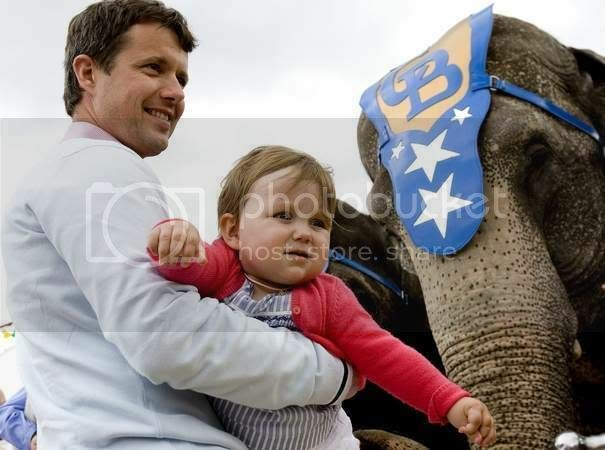 The circus is less than a kilometre from Marselisborg at the beach, which also gives the elephants an opportunity to bathe in the sea. 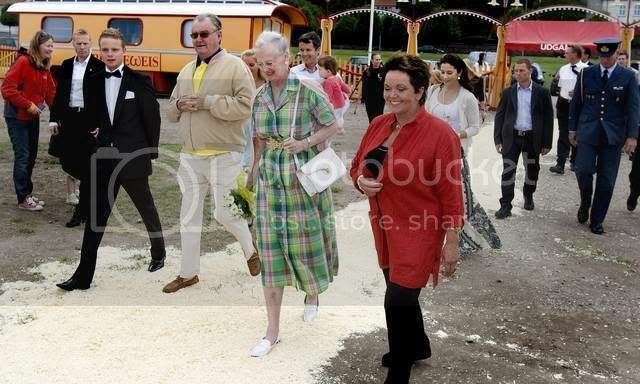 Anyway, the Danish Royal Family showed up at a performance of the 121 year-old of Cirkus Benneweis. 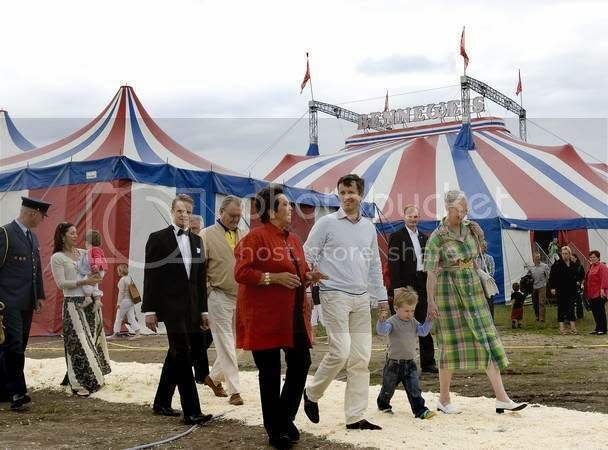 The current circus princess Diana Benneweis (sprechstallmeisterin) is now retiring and will be replaced by her adopted daughter, Nadia Benneweis, who presented flowers to Mary. 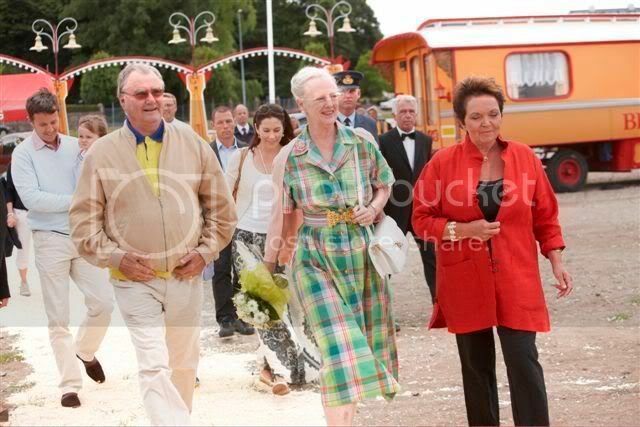 Her twin brother presented flowers to Queen Margrethe. 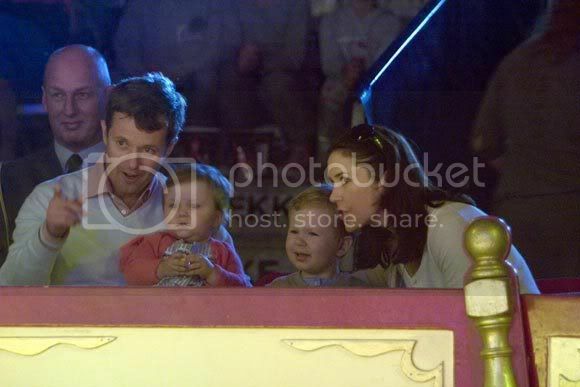 Isabella and Christian were at a circus performance for the first time in their lives. 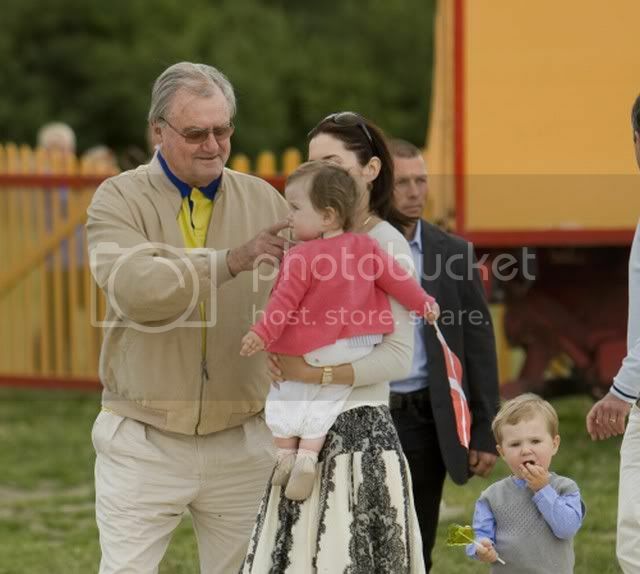 It was actually only Prince Henrik who was to go to the performance, but Mary and Frederik and their children decided to join him, and when Queen Margrethe heard about that, well, she went into grandmother mode and decided to join her grandchildren. 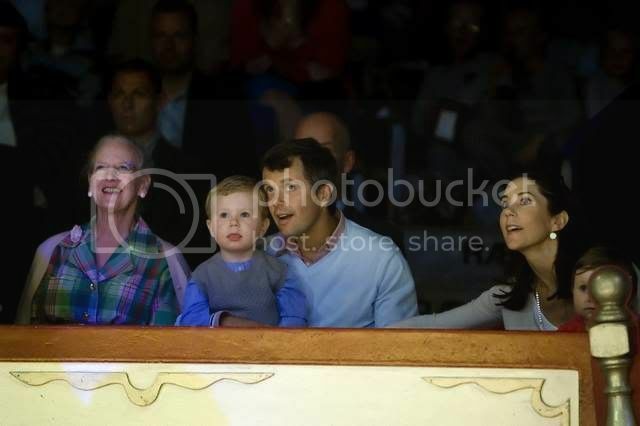 The Queen was watching the reactions of her grandchildren more than the actual show. 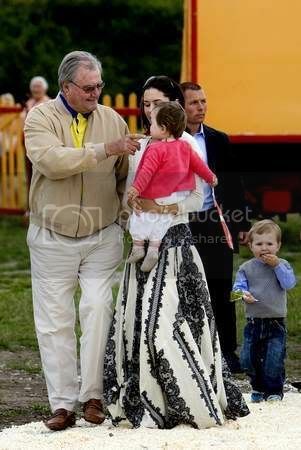 Benneweis had omitted a couple of loud bangs in one of the performances in order not to frighten the royal children, not that they were frightened at all. 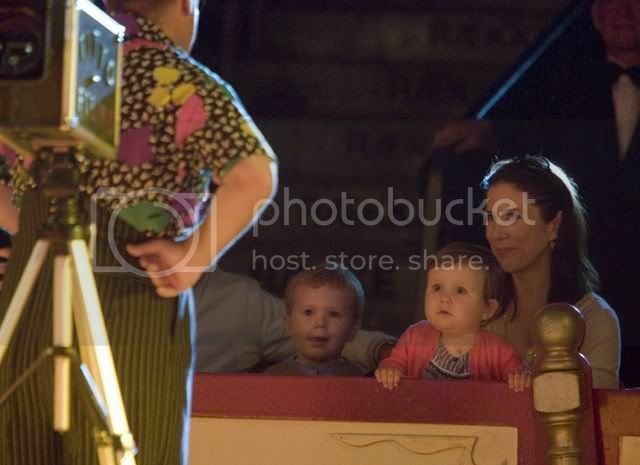 Christian was visibly fascinated and Isabella was busy watching the show, reading the programme and playing in the sawdust at the feet of the adults. 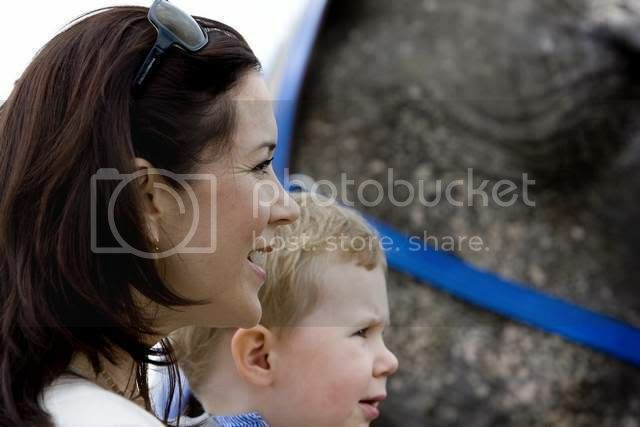 Mary considered taking Isabella home during the intermission but stayed to look at the elephants. 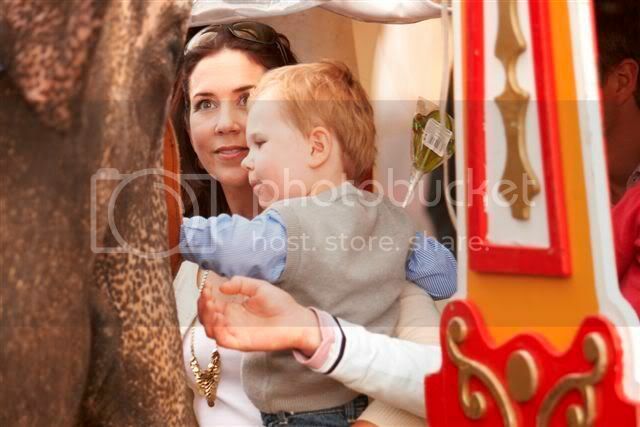 Or more correctly, Isabella looking at a delighted Christian looking at and petting the elephants, while sucking her thumb. 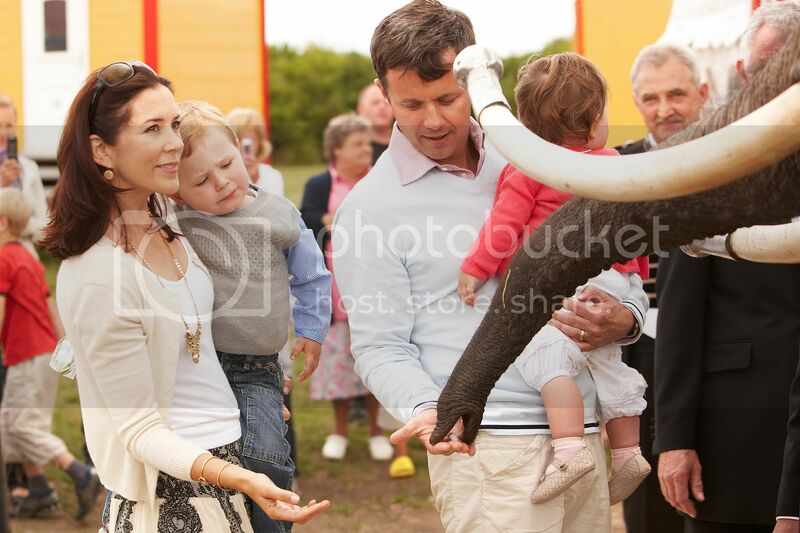 The professional elephants, Titch, Lachsmith and Kenya, weren't that impressed by the DRF, they were busy munching down lots of fruit. All in all, it was a pretty sucessful visit. 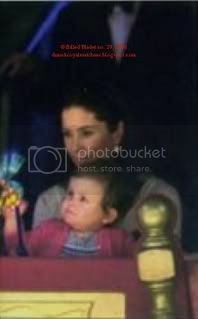 Mary said afterwards: "It was a delight. 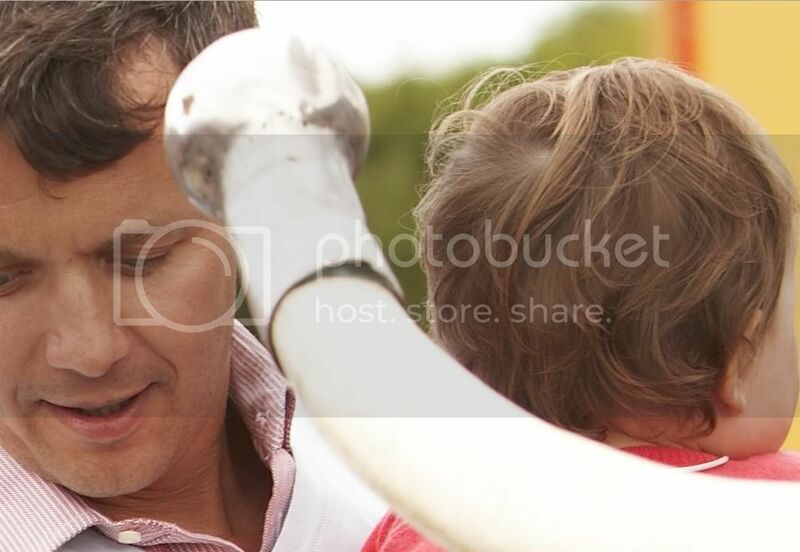 The children really enjoyed it a lot." 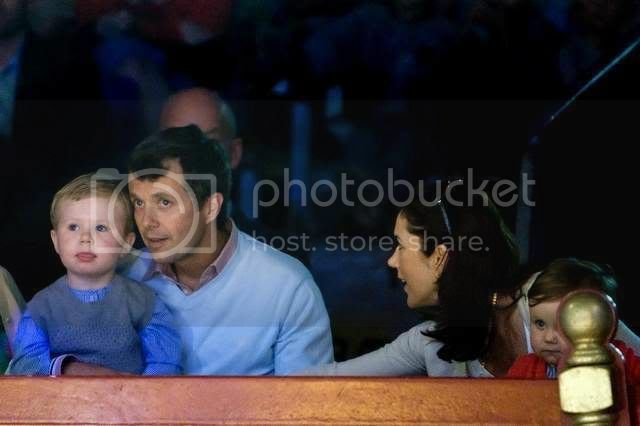 The other princess present, Diana Benneweis said: "It's impressive. 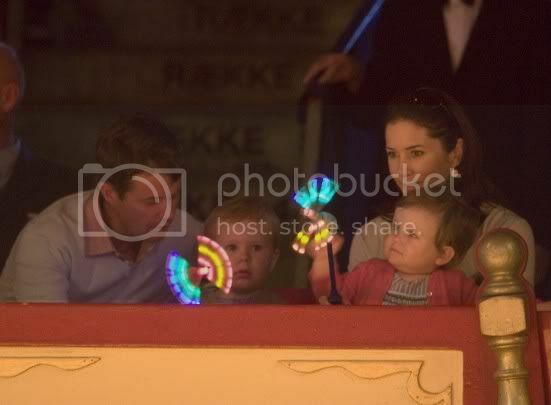 Because it's difficult to be at a circus with such small children, but the Crown Prince Couple understood how to make it interesting for the children when the little ones sometimes lost concentration. 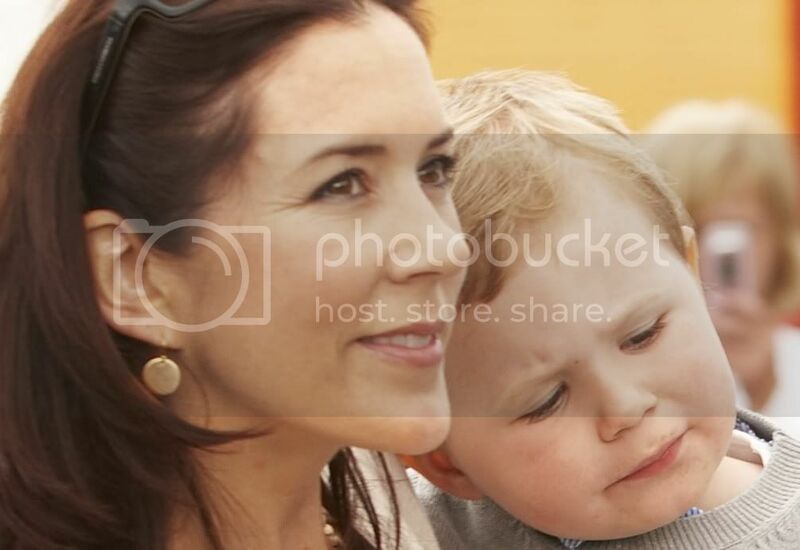 Often small children can become frigthned and start to cry but that didn't happen at all with the small Prince and Princess. Just to be on the safe side, we had omitted two bangs from the show." She added: "We couldn't get a better birthday present." 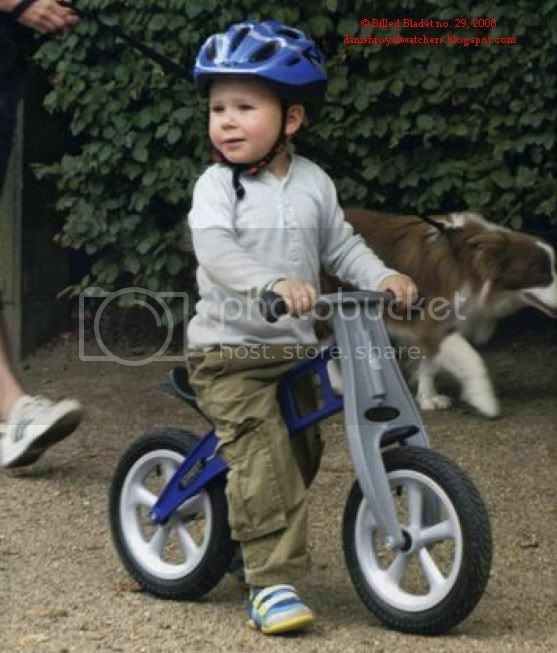 Like a true Tour de France hero Prince Christian zoomed away on his go-bicycle. 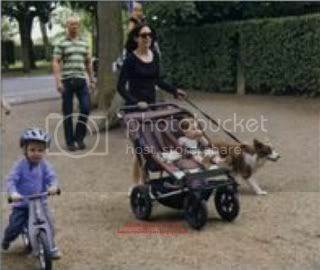 He was with his parents and little sister Isabella on his own go-bicycle when on an outing near Marselisborg Castle. 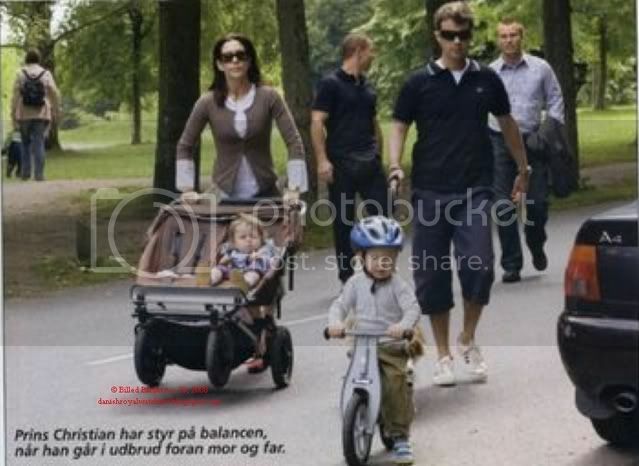 At one of their first holidays Marselisborg Castle in Århus, the family set out for an excursion. 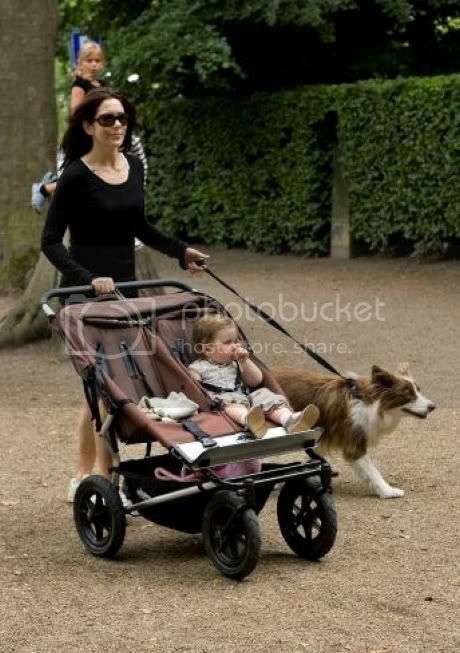 Crown Prince Frederik controlled the Royal dog Ziggy, while Crown Princess Mary pushed the stroller with Princess Isabella. 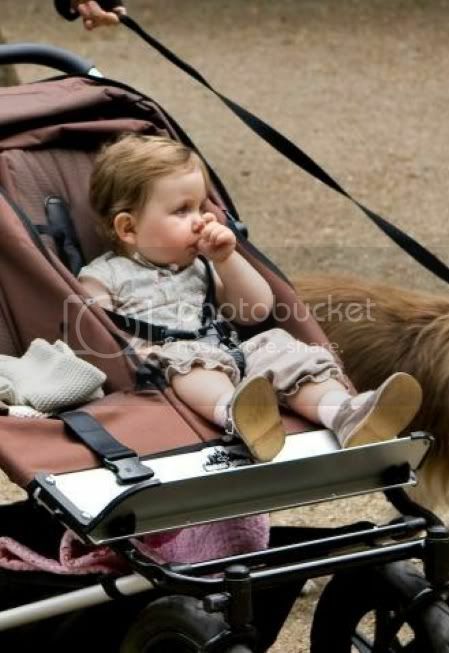 And Prince Christian has become super smart to keep his balance and push himself off fast that both mother and father plus stroller and dog had to hurry to keep up. 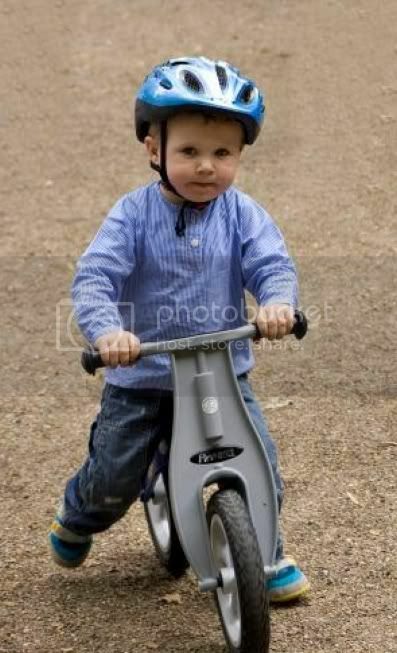 The little fellow kicked himself forward with one burst after another, and when he got ahead a bit Prince Christian stopped short to check whether the others followed him and to be sure that he was going the right way. 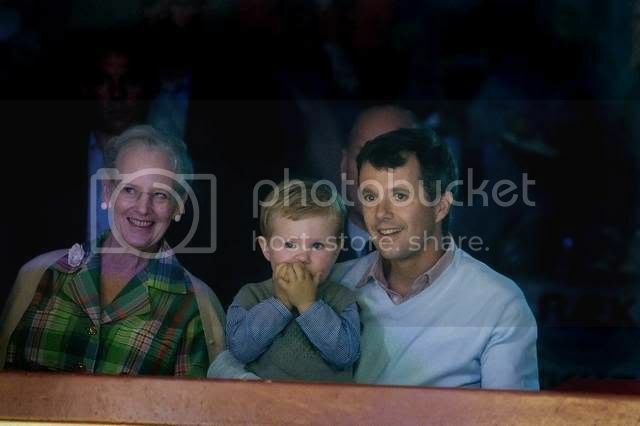 The Crown Prince and Crown Princess continued on holiday in Jutland. Many thanks to commoner, Valentine and a special thanks to Muhler! 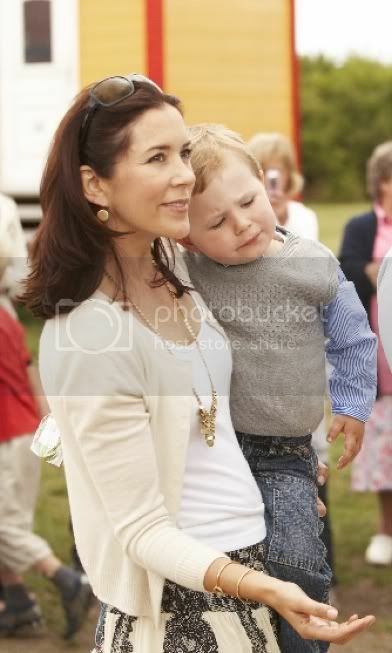 I just loved these pictures. Though my conscience was somewhat pricked by our incursion into their personal space when they are supposed to be on holiday. 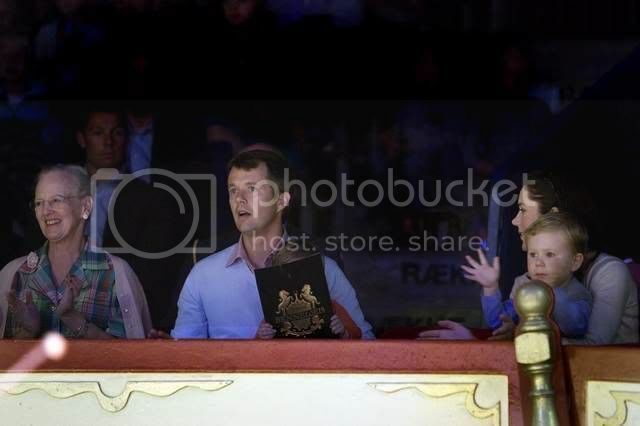 However this was soon overcome by my delight at the awe and excitement on the faces of those beautiful children at the circus. Your coverage has captured the vulnerability and curiosity of these fortunate children wonderfully. Hi Lotte, I guess since it it is still summer up there that you are out somewhere enjoying it. Will be glad to see you back,but in the meantime I just had to point out,in the nicest possible way of course; that we have just pulled one medal ahead of you all at the Olympics! !